Home / Architectural Photography / What’s it like from the top of Boston’s original Hancock Building? 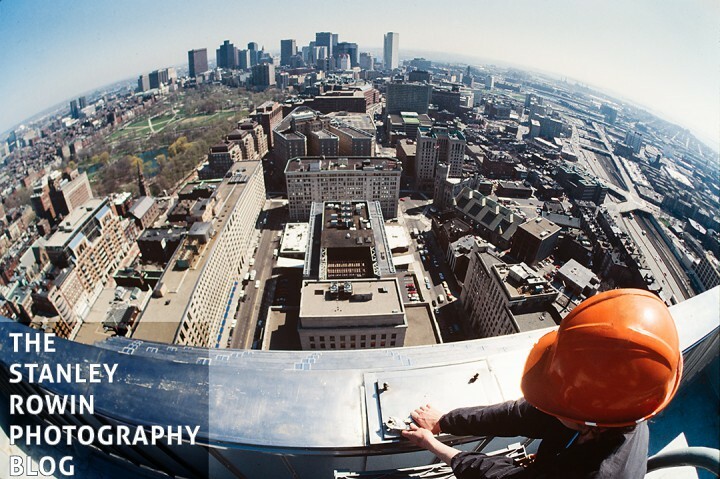 Here’s a panoramic photo from our deep archives of a worker atop the old Hancock building. The building with the weather beacon, now known as the Berkeley Building. Next we’ll post different directions from the same roof. It was shot with a fisheye lens.